Per the Affordable Care Act (ACA), businesses with 50 or more full-time employees must provide the IRS with ACA reporting that explains what benefits they offered. Those with 49 or fewer employees don’t need to report this data unless they’re self-insured. We’ll provide four simple steps to complete your ACA reporting using Forms 1094 and 1095-C by the 2018 year-end deadline in early 2019. Using a payroll provider like Gusto that offers employee benefits to your staff can streamline your annual ACA reporting. Gusto provides year-end ACA reports to both employees and to the IRS as part of its employee HR and benefits package that including new hire onboarding and electronic forms. Try it free for 30 days. Disclaimer: Fit Small Business is unable to provide legal or tax advice. Please seek the input of a professional tax preparer if you have legal or tax-related questions about ACA reporting. Each year, employers with 50 or more full-time equivalent (FTE) employees are required to complete mandatory ACA reporting using IRS Forms 1094-C and 1095-C. These documents let the IRS know who you provided health insurance to and what kind of coverage you provided. They also give employees the data they need for filing their year-end tax returns. The IRS requires only Applicable Large Employers, also known as ALEs, with 50 or more full-time-equivalent employees or FTEs to report on benefits offered under the ACA, also known as Obamacare. Full-time employees include any employee working an average of 30 hours a week or more. Self-insured employers must also comply. 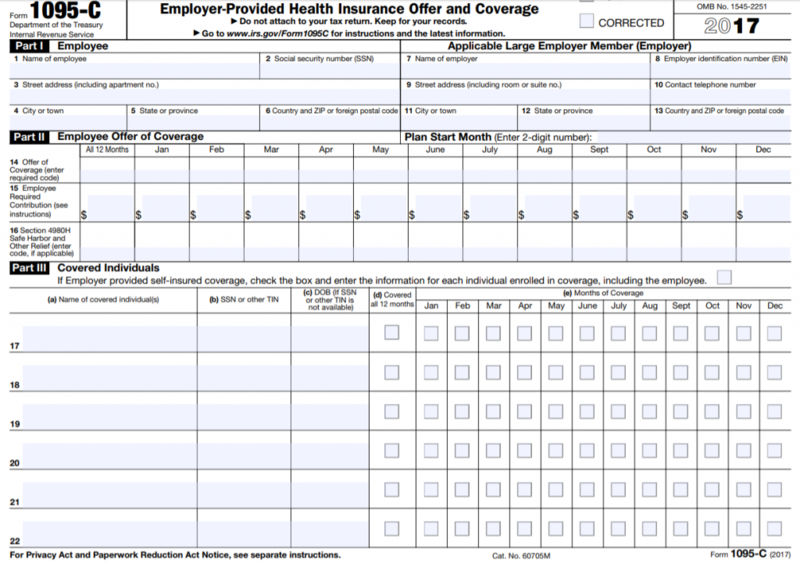 If you are an employer with 49 or fewer employees, you are not required to provide ACA reporting (unless you are self-insured, taking on all of the healthcare risk through self-funding). The data used for ACA reporting will include the employer EIN, the total number and a list of the employees covered, and the coverage provided. That includes both the minimum essential coverage and any supplemental coverage. 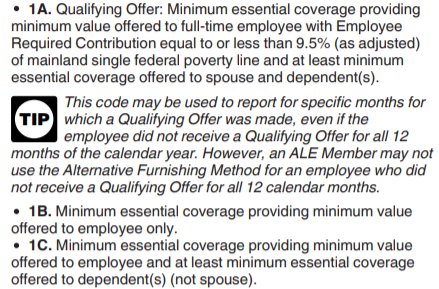 Minimum essential coverage refers to affordability and value. 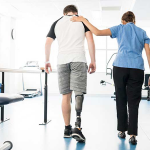 For example, an employee’s healthcare plan must cost less than a fixed percentage of the employee’s earnings (9.56 percent in 2018) and must cover at least 60 percent of their eligible medical expenses. ACA reporting, similar to year-end tax documents like W-2s, must be provided early in the new year so that employees can use the information when they file their tax returns. For example, in 2018, IRS deadlines were extended until March 2 for forms sent to employees (IRS Form 1095-C). In addition, different deadlines applied based on whether forms were mailed or filed electronically. Check the IRS website for the specific deadlines each year. Reporting codes are used to indicate the type of coverage offered (codes 1A-1H) and provide information about the employee’s eligibility (codes 2A-2I). These codes are used to complete the ACA reports and are described on pages 11-12 of the instructions. Benefit Express offers this helpful ACA Code cheat sheet in case you are completing the form manually. If you’re using HR/payroll and benefits software like Gusto, you’ll find all this data in their core system, including employee information, benefits offerings, and which of your eligible employees had coverage each month throughout the year. Gusto provides year-end ACA reporting as part of their benefits management service. Once you have the data, completing IRS Forms 1094-C and 1095-C forms is a fill-in-the-blank activity. Your benefits provider may even do this on your behalf, as shown above. IRS Form 1094-C is the form that you send to the IRS for your company along with your business tax return. IRS Form 1095-C is sent to each employee. A copy of each employee’s form is also sent to the IRS at the same time as you send the 1094-C. Complete instructions for the 1094-C and 1095-C can be found on the IRS.gov website. IRS Form 1094-C is a three-page document that includes basic employer information such as name and contact information, as well as information on each employee and month-by-month employee benefits coverage. In addition to completing all fields on the form shown above and provided as examples below, you will attach copies of the employee 1095-C forms before signing, dating, and submitting the 1094-C form to the IRS. Input all required business information on page one of the form. This includes an indication of whether your company is an ALE. Refer to page seven of the IRS 1094-C instructions for more information such as how to determine certifications of eligibility. The Qualifying Offer Method (option A under question 22) is the most common response and means that you have met the criteria of providing minimum essential coverage. 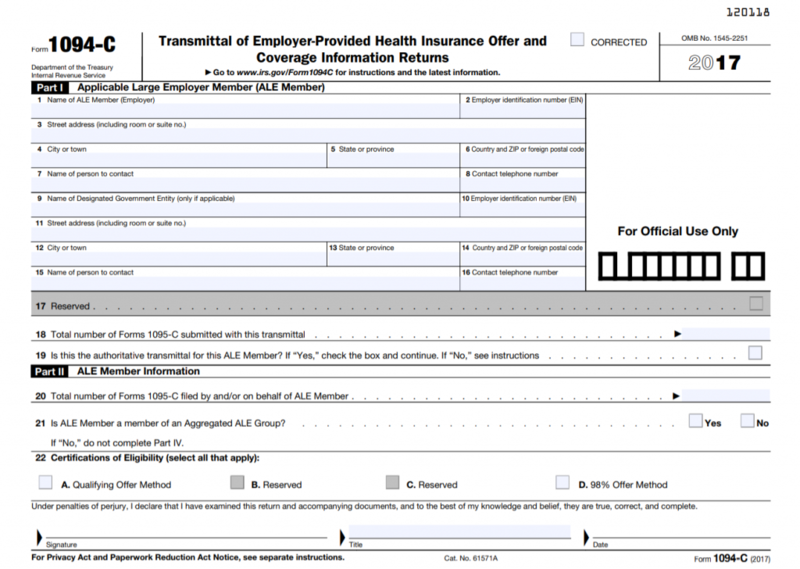 On page two of the form, you will input the total number of full-time employees, along with the total number of employees and whether they were offered minimum essential coverage (note that employees don’t have to have accepted or enrolled in the health insurance, but it must be offered). Check yes if they have been offered minimum essential coverage. Refer to IRS 1094-C instructions for more detailed information. Example: The company shown above had 50 full-time employees in January of the prior year and offered healthcare coverage for all. They had 52 total employees at that time. By year-end, they had grown to 57 total employees, of which 52 were eligible for and offered health insurance coverage. Page three is only used if you have more than one business entity with a combined (or aggregate) total of 50 or more FTEs. Most small businesses will not use this page. Example: If your company is comprised of more than one business EIN, such as a parent company and a subsidiary, then the additional company names and EINs would be listed on this page. Otherwise, leave it blank. The total number of employees for all companies would be used when determining whether the business is an ALE. Sending corrections can be a paperwork nightmare, so double-check your work. Physically count the number of 1095-C forms you’re including and make sure it matches line 18. Also, make sure all employee SSNs are correct. Are all employees listed? The total listed each month on page two should match the number of active employees you have in your HR/payroll system. The total should match line 18 as shown above. Is all the information correct for each month? Can you verify that the employees (especially new hires) were offered health insurance upon hire? HR/payroll software like Gusto, which provides health benefits, will provide this data for all employees by month and report it to the IRS on your behalf, saving you time. IRS Form 1095-C is a three-page form that the employer sends to each employee. A copy of the form is also sent to the IRS in support of Form 1094-C above. They’re sent in the same package. This form includes both employee and employer name and address as well as SSN and EIN numbers. In addition, it shows the months healthcare was offered and how much of the healthcare cost the employee was required to contribute. For most employers, data will be completed for the employee on page one, with instructions on page two. Part III is completed only if the employer offers “self-insured” healthcare coverage to employees. Most small businesses will leave Part III, including all of page three, blank. The information described below is the most common needed by most small businesses. See the 17-page instructions from the IRS website for more detailed information. 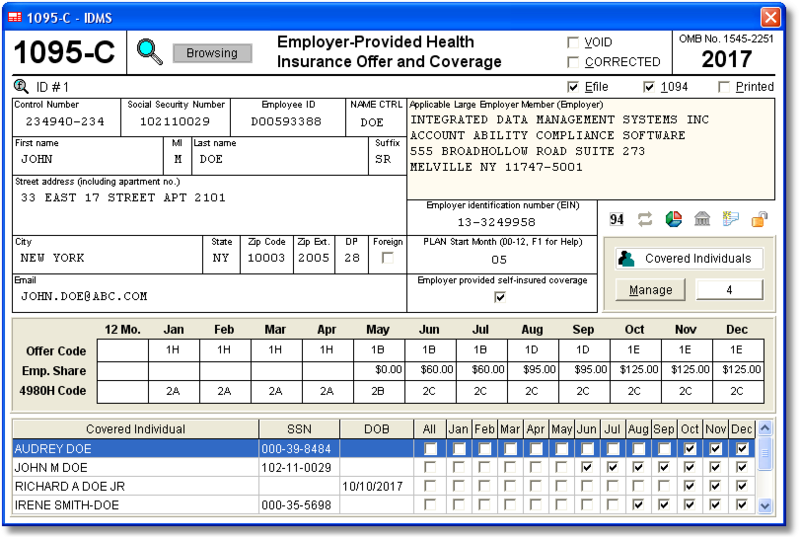 You’ll input each employee’s data along with your company data in Part I of the form. Make sure the information is completed fully, including providing employee SSN, your business EIN, your employee’s full residential address and zip code, and your business contact number. Failure to complete all information may cause the IRS to reject the form. Input the date that health benefits started for the employee, the coverage code and the amount contributed by the employee toward their healthcare benefits premium. In most cases, the benefits start date will be at the beginning of your benefits plan year. However, new hires will have a start date based on the month that benefits were offered to them. The image below shows where the start month should be indicated, as it is easy to miss on the form. Unless your business is self-insured, leave page three blank. Employers who self-insure can follow the instructions provided on the IRS website to determine whether they should provide form 1095-C, or use the alternate Form 1095-B. Is the employee information correct, including SSN, address and employee’s benefit cost? Is the form complete? For example, are the zip code and plan month listed? Is all the information correct for all months? For example, if the employee was hired mid-year, does the data begin on the correct month? You can send both of the ACA reports to the IRS by mail or electronically. You have similar options for forms you provide to employees. However, since IRS forms contain sensitive information in terms of employee SSNs, it’s best to use a secure method, such as encrypted email, if you send tax documents to your employees electronically. Another option is to let your HR/payroll or benefits vendor transmit the documents to employees and to the IRS directly from their software system. In that case, you’ll want to verify the data in advance, per step three above, and then ensure that it was received by employees and the IRS. Ask for copies or confirmation. The IRS has an e-file option, which is required if you have more than 250 employees. Complete instructions for e-filing can be found in IRS publication 5165. Businesses with fewer than 250 workers are encouraged to file electronically but are not required to do so. In addition, most benefits providers will have the means to file this information electronically. The data is likely already in their system, as illustrated in the image below. If you employ fewer than 250 workers, you can send your ACA reports by U.S. mail. The IRS asks that you don’t fold, staple or tape the documents. Instead, put them into an envelope large enough to hold the entire set of forms (your Form 1094-C and all employees’ Form 1095-C). 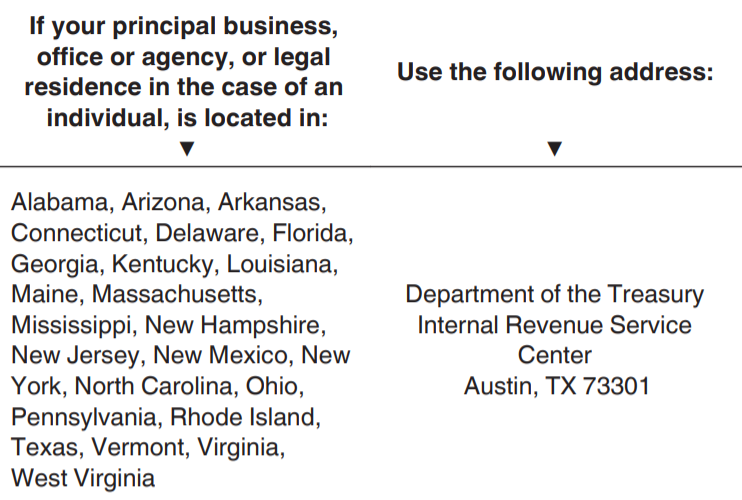 Then address the package of forms to one of two IRS locations shown below, based on where your business is located. Depending on how you send out your IRS forms to employees and to the IRS, your confirmation methods will vary. Some employers send themselves a copy of the forms at the same time they’re distributed via email or U.S. mail to employees to ensure that the forms were received. If you’re filing electronically, there should be a transmittal confirmation provided by the benefit vendor or your software provider. If you don’t receive it, contact them and ask for a copy. Common mistakes include missing information, incorrect data or information not filed by the due date. Using the checkbox at the top of the form, you can re-submit the 1094-C, and any new/corrected 1095-C forms to the IRS in the same way that you submitted the original report. Complete details for making corrections can be found on pages four and five of the instructions. Below are commonly asked questions related to employee benefits, healthcare offerings and ACA reporting requirements. What happens if I don’t file a report? Failing to provide a report will likely result in an IRS tax audit and penalties. 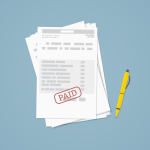 These fines can be as much as $270 per employee form. Of course, if you have fewer than 50 FTEs and you’re not self-insured, you won’t need to file ACA reports. If my vendor files the report, am I off the hook? Third-party providers like Gusto can provide the reports for you as part of their benefits package. That typically includes filing IRS tax Forms 1094-C and 1095-C. However, the responsibility for filing remains with the business. You may want to follow up and request copies to verify that reports were filed. What are the requirements for the small business healthcare tax credit? Businesses with fewer than 25 employees that provide ACA-like healthcare plans for their employees may be able to apply for an IRS healthcare tax credit for up to two consecutive years. They need to have 25 or fewer employees, pay at least 50 percent of the employee-only premium, and obtain the insurance through the marketplace. You can find more information on the IRS website. Additional Q&As can be found here. 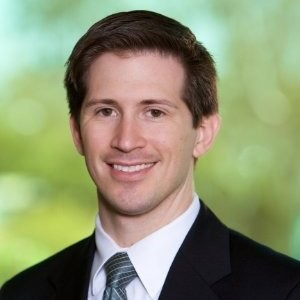 How can I simplify benefits offerings to my employees? You can work with a vendor to provide benefits to your employees. Many payroll providers, PEOs and payroll services provide a wide range of healthcare offerings to employees. Most also provide the required ACA reporting once your business reaches 50 employees or more. What does 4980H Safe Harbor refer to? Section 4980H is part of the IRS code related to the ACA. Safe Harbor simply means that additional clarification was provided within the code to make sure employers understand their requirements. You can read more on the IRS.gov website, which allows alternative ways for employers to determine whether healthcare is affordable for their employees. What if my company self-insures? It’s uncommon for a small business to self-insure due to the cost and risk. Larger companies that self-insure often have their own benefits department and staff to manage year-end reporting. Businesses that self-insure their employees’ healthcare coverage can find more information on the IRS website. Where can I find additional resources about ACA reporting? The IRS provides resources for ALEs to comply with the ACA, including a legal guidance and resources page. If you have more than 50 FTEs, then you’re considered to be an ALE and subject to the annual filing of ACA reports. Plan ahead each year, as the IRS suggests it will take about four hours to complete the 1094-C and about 12 minutes per employee to complete the 1095-C. You’ll also want to leave yourself time to verify the information and transmit the documents prior to the annual deadline early each calendar year. We recommend simplifying ACA reporting by using an HR/payroll and benefits provider like Gusto. 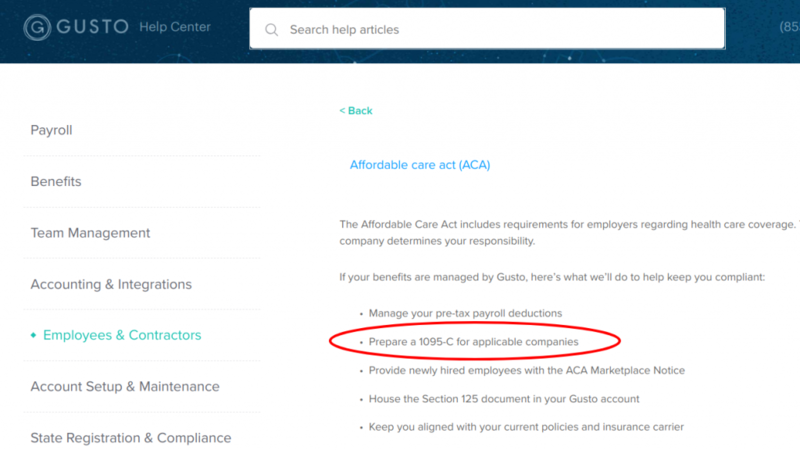 Gusto offers affordable benefits to employees of small businesses, and provides the year-end ACA reporting as part of their benefits service. Start a free 30-day trial. If your business is in Massachusetts, they have additional requirements. This affects MA employers with six or more employees.